Mount Harvard rises to 14,420’ in the Sawatch Range near Buena Vista, Colorado. 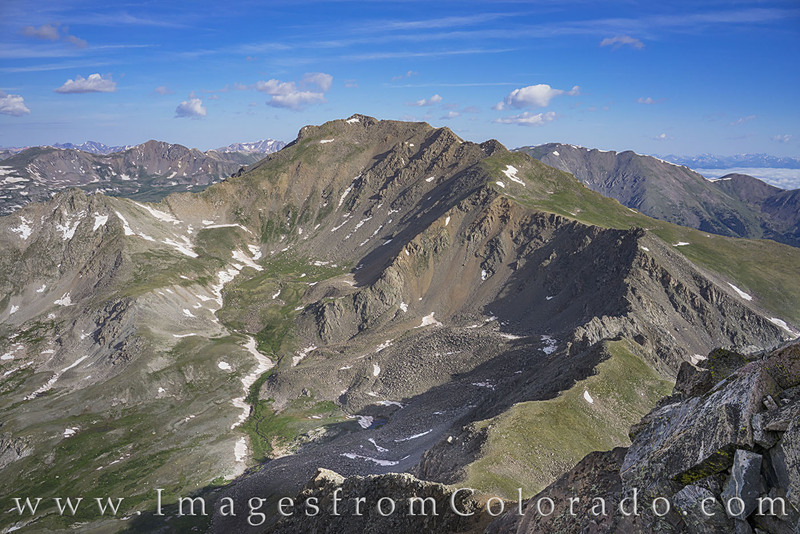 It is the third tallest peak in the area, shorter only to Mount Elbert and Mount Massive. This view shows the traverse from Columbia across to Mount Harvard. The sketchy trail is mentally exhausting and the exposure above treeline is long. The views, however, are amazing, as rocky mountains rise in all directions. Photo © copyright by Rob Greebon.